Bible - A historical document? - Website of reckersworld! Bible - A historical document? A lot of Christians like to see the bible as a historic document. Even though most of it is hearsay, they argue that many of our historical documents are also hearsay, but we still refer to them as historical documents. Well sorry, but if a so-called historical document is chocka-block full of absurd things like talking donkeys, men being swallowed by giant fish and surviving, angel visitations, demon possessions, people turning into pillars of salt, men building arks and loading them with every species of animal, the world being created only 7000 years ago by magic, then you’ll have to excuse me if I scoff at the claim of it being a historical document. If a historical account told of Adolf performing miracles would we really take it seriously? Seriously, if I picked up a history book about Adolf Hitler and in that book he defeated France by having his troops march around Paris 7 times and then blow trumpets or shout at the top of their voices to cause it to collapse, I wouldn’t be able to take it seriously. If it was claimed in the history books that Nelson Mandella was thrown into a fiery furnace and then walked out after unharmed, I’d find that very difficult to believe too and rightfully question the accuracy of the account. 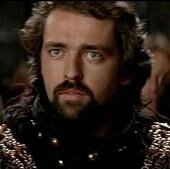 Does Robert the Bruce's existence matter to us today? Many Christians point to the bible and claim that there are more written accounts of Jesus than there are of many other well-known historical figures, but yet we accept them without question. Even if it were true and we DID accept all historical accounts of non-biblical characters without question, it’s not the same thing. There are no ramifications of believing or not believing the accounts of Atilla the Hun or Robert the Bruce. No one is asking us to obey Julius Caesar anymore. Let’s face it. 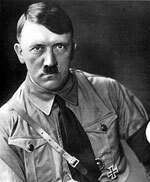 No one is trying to tell us that if we don’t believe in Adolf Hitler, then we’re gonna be thrown into the gas chambers. No one it trying to shove the teachings of Socrates down our throats. No one is saying that if we don’t worship Alexander the Great, then God is going to be angry with us. 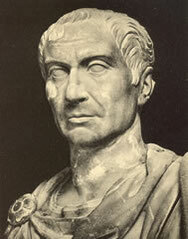 No one is saying that if we don’t obey Julius Caesar, then we’re gonna be tortured for all eternity. No one is claming any other history book to be the word of God. So why does it matter if we accept the accounts of them without question? Just what ramifications are there really? If however large portions of people on this planet WERE saying things like that, trying to force it upon us and making threats towards us if we don't believe, then we would have to look at those historical documents as critically as we do the bible. If there ARE outrageous stories that defy belief, then we definitely MUST question the validity of those so-called historical documents. We do anyway, but most historical accounts don't contain such outrageous material as the bible does, so there is little reason not to believe them. And if they did, to just blindly accept them like Christians accept the bible, would be ridiculous. 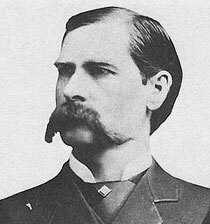 So until people do start claiming that other historical characters should recieve special consideration, then I don’t feel the need to critique the accounts of Captain Cook, nor do I feel that I need to reject stories of Wyatt Earp. Just don’t try to tell me that I HAVE to believe them or that I HAVE to worship one of them!